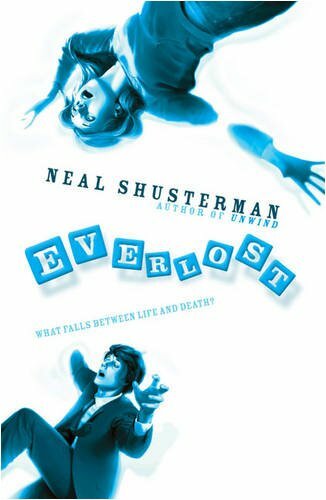 I review the first book in the Skinjacker Trilogy: Everlost by Neal Shusterman. You can read my thought at JRT's new location. See my thoughts and where it was reviewed on the new Jawas Read, Too! Someone pointed out I had the wrong link up yesterday. Instead of directing people to the new WordPress site, I had them redirected back here! Please remember to update your RSS feeds and any direct URLs to JRT. Please update any RSS feeds and links. I apologize for how quick this change may appear, but I hope you'll join me at the new WordPress location? Hopefully I won't lose any of you in the move, but if I do: it was wonderful to have you here. For a while I will post reminders and redirect as many of you as I can to the new blog. My first post is up already. Coincidentally, TJ of Book Love Affair decided to move her site as well to a new location and with a new name: Dreams and Speculation. Since she's been a bit busy this month, I've helped by contributing a guest article, which has been posted today! Take a look over there and join me at my new WordPress site? 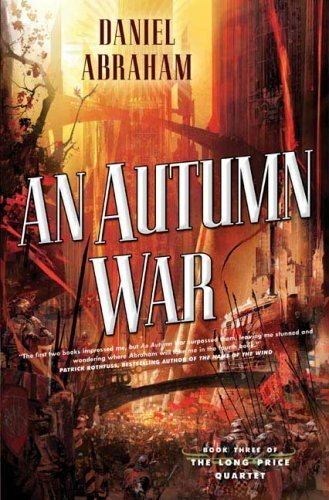 My review of Daniel Abraham's An Autumn War has been postponed until Monday. JRT is in the final stages of a move that has taken a couple of months to complete. The review will follow an announcement for the new location for JRT. 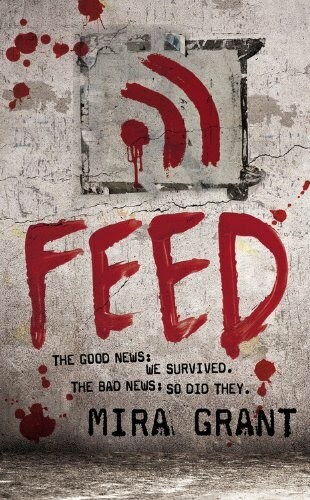 Please be aware you will have to update RSS feeds and any direct links to the main site. All other review-specific links will no longer work after a short grace period. I'm sorry for any inconvenience this may cause. Far be it from me to question the methods of the Jawas (they can be so temperamental). They let me know ahead of time how they had managed to wrangle a review out of someone other than me and would I mind posting it on the blog? I don't know which surprised me more: that they conned someone to the task, or that they showed some initiative. Today's review comes from someone very special to me. He's not shy by any definition of the word, but doesn't believe he'll "cause much of a stir." I'd ask you to get riled on his behalf, but then would have to deal with the consequences. 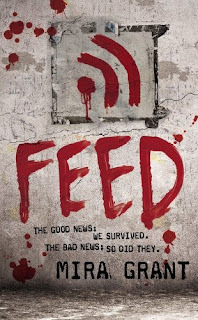 Instead, enjoy JRT's second review of a book we really enjoyed: Feed by Mira Grant. I was very lucky to win an autographed ARC of Sisters Red from a contest Tessa Gratton held on her blog. It was a book I’d been curious about; fairy tale retellings are some of my favorite types of books, but Little Red Riding Hood is one I’m especially drawn to. I don’t want to read too much into the book, but know the fairy tale itself has often been studied for its commentary on feminine sexuality; I’m hard-pressed not to approach a reading without scrutinizing that theme. It would seem Jackson Pearce had a similar idea. Congratulations to all of the nominees! I had hoped Bacigalupi would win and was touched when his speech (I watched the ceremony on ustream) came unprepared because he honestly thought he would not win. 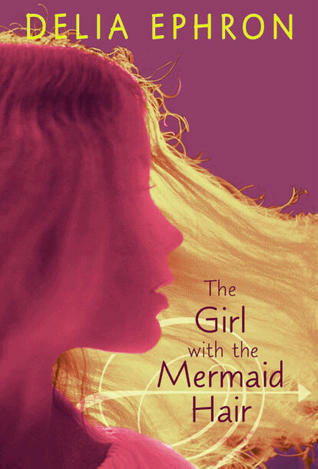 The Windup Girl was definitely one of the BEST Science Fiction novels I read last year. :) If you haven't read it, I highly recommend that you do. A full listing of all winners can be found here. 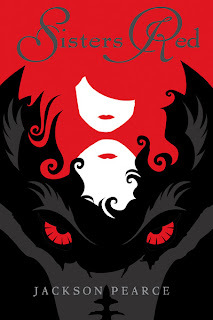 Be ready for tomorrow: I'll have a review of the upcoming Sisters Red by Jackson Pearce. For Otah Machi and Maati it’s been 15 years since the events A Shadow in Summer. The end of that book saw a happy, if wary ending for Liat and Maati. Otah was troubled by his friend’s confession and preoccupied with the Galtic involvement threatening thousands of innocent lives. As Betrayal in Winter opens, we discover things have turned out quite differently for our protagonists, except, perhaps, for Otah, than when we left them. Otah’s father, the Khai Machi is dying. Already there are rumors about which brother will be the first to strike and begin the murderous journey to the throne. Ignored for being a woman, but operating under the radar is Idaan, Otah’s sister, who is determined to marry for love, not obligation. The Khaiem isn’t kind to women and the roles they are expected to play in society, but Idaan refuses to be contracted out of the family. When her brother is suddenly found dead it’s the worst news to come: already the killing has started and the Khai is still alive. Idaan’s chance at a prosperous marriage is in danger of dissipating. Eager to discover Otah’s involvement, if any, in the murder, the Dai-kvo sents Maati to investigate without arousing suspicion. There he finds a library and a curious young Poet with a large andat who frequently reminds Maati of his failure to successfully bind Seedless. Will Maati’s new assignment be met with success--will he draw Otah out into the open and clear his name or will he discover a new, deadly secret about his one time friend? Real life has been keeping me busy the past week or so, but I do have some surprises in store for JRT readers. 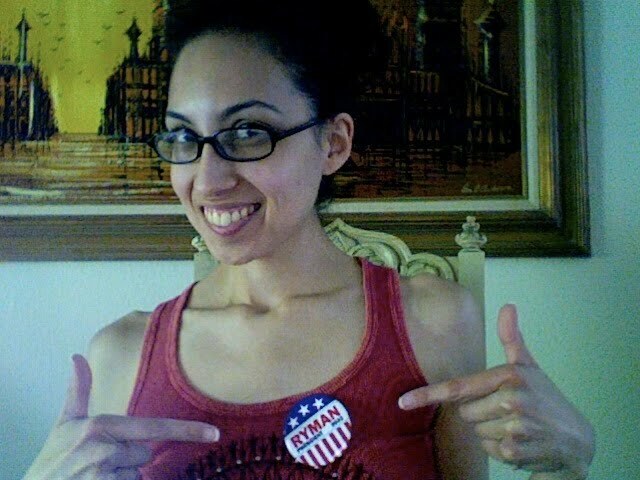 :) To begin, I want to thank TJ from Book Love Affair for holding an impromptu Twitter contest for a President Ryman campaign button (I won). It arrived in the mail with a surprise book light - goes to show how awesome TJ is! Second, there will be a guest review soon. It's a secret, so until then, be on the lookout. 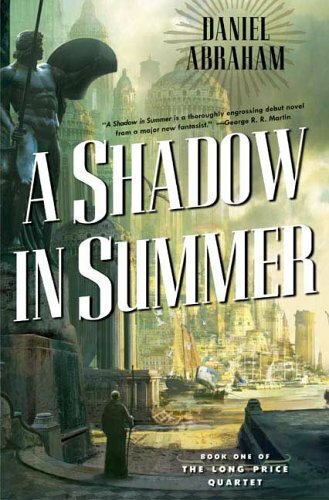 I think I mentioned this before, when I discussed the Nebula and Andre Norton award nominees, but an award sticker or mention on a book usually influences my decision to purchase or read a book very little. The distinction is usually nice if I've already read the book; I appreciate feeling like my opinions are validated about as much as the next person (who doesn't like to be told they have good taste?). 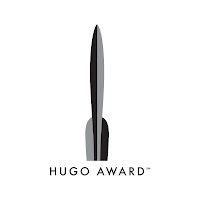 About a month ago, the Hugo nominees were announced. 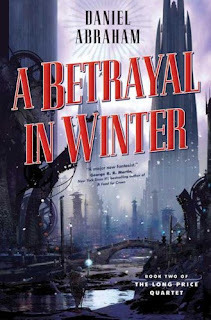 I bring this up, not because I feel obligated over the nature of the content of this blog (lots of Science Fiction and Fantasy reviews), but feel this year's going to be exciting. Of the six nominees in the Best Novel category, I've read three. I do believe that's a first for me. This means I can root for a winner. 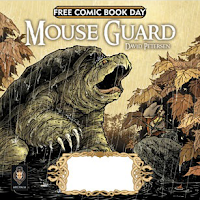 Last weekend, May 1st, was Free Comic Book Day. 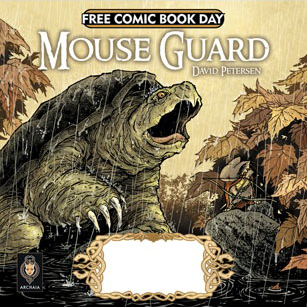 Free Comic Book Day was started to help introduce locals to their independent comic book stores and to share the love of comics with others. 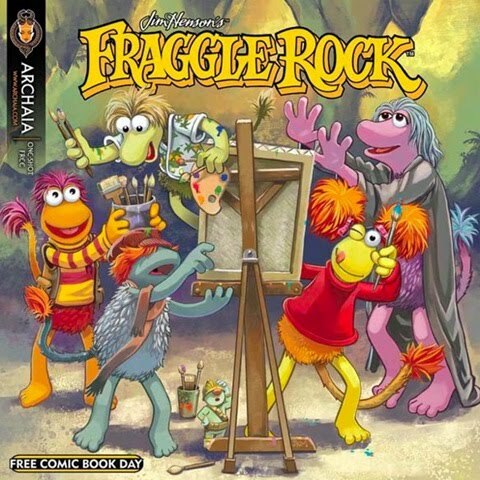 Participating shops offer comics for free to anyone who comes to visit. My brother was nice enough to pick up some of the issues I knew were being released as part of the promotion. 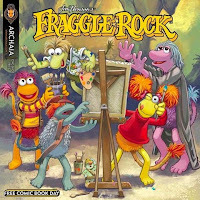 Megan from Po(sey) Sessions is having a Comic Book Month. To celebrate, she asked if I wanted to review some of those one-shot comics as a guest blog. Of course, I said yes! 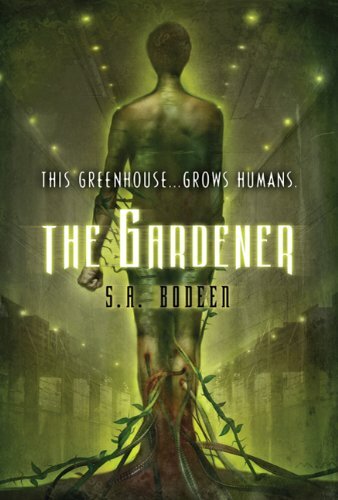 S. A. Bodeen’s The Gardener is a frightening glimpse into a world desperate to adapt to a life without food. Food as we know it will become scarce; modern production and packaging lines will feel the stress of a population that outgrows manufactured and ready-to-buy products. Overpopulation specialists speculate on the need to return to self-farming and whether humans will ever be able to adapt as a species without intervention. Bodeen’s premise raises questions of population, ethics, and genetic manipulation, but in truth provides only a surface examination of those issues. The main character, Mason--or Mace as his friends refer to him--is young. His off-beat dialogue often contradicts his mature behavior, but it reminds us of how tenuous adolescence is. We are frequently told his love of heroics is more of a compulsion; Mason can’t resist helping other people--something we are initially forced to take at face value as part of his character. 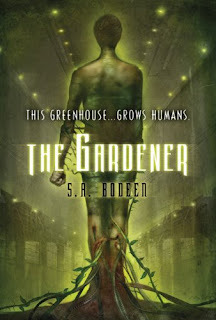 This habit proves no different when he meets a strange and distressed girl with almost paralyzing fear of someone she calls the Gardener. Saraykeht is a thriving port city in the Khaiem with an economy built around the cotton trade. It’s a world where gestures and poses convey what words cannot, where Poets shape manifestations of thoughts and ideas into living beings called andats. Andats have curiously powerful magic reflected in their names. Seedless can remove seeds from plants, such as the cotton Saraykeht relies on. He’s become indispensable to Heshai-kvo, the Poet who controls him, and Saraykeht’s local monopoly on cotton and the textile industry. Seedless can also remove a child from a mother’s womb. Aborting an unborn child is known as the “sad trade.” Unfortunately for Saraykeht, a conspiracy is well under way involving Seedless, the “sad trade”, Heshai-kvo’s apprentice, a laborer with a mysterious past, his lover, and her teacher (our myriad cast) that threatens the literal threads holding the city together. I may be more than slightly addicted to Bookcloseouts.com. There's no other excuse for my inability to stay away. Although, I think I may have to as I've slowly been running out of room. Things have been piling on the floor for many months now. It's here! Are you excited? I know I am! Also, a little apprehensive. With 36 books to read in the next 4 months, the size of my task is slowly sinking in. You'll forgive me if I'm as anxious as I am determined to bring you the best review and discussion section for each book. I did have a giveaway planned, but unfortunately, decided I couldn't afford it. 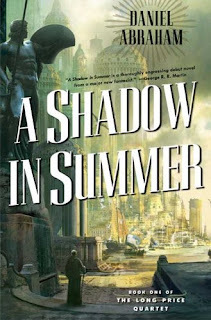 Perhaps later in the summer I'll be able to make it up to anyone who was looking forward to this. I apologize and hope there'll still be enthusiasm for the challenge?